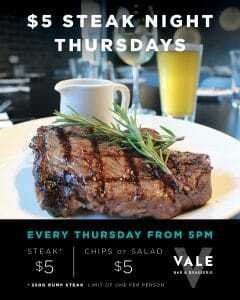 Thursday Night is $5 Steak Night at The Vale. 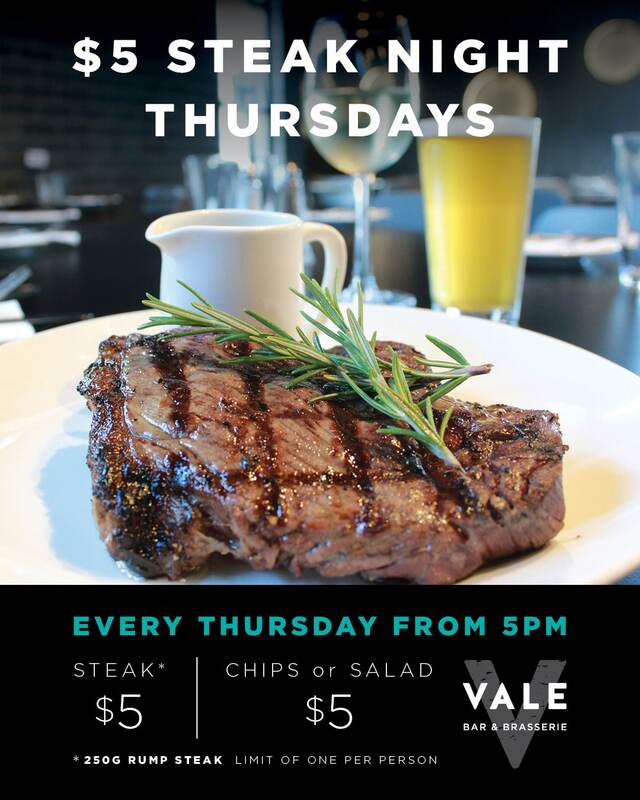 Enjoy a 250g Rump Steak cooked to your liking with a choice of sauce for just $5. You can then add chips or salad to your steak special for just an extra $5 each.